Let us show you our favorite road rides. The Central Okanagan offers a little bit of everything for the Road Cyclist: climbing, descents, quiet country roads and incredible scenery. For those of us that cycle here all the time, this is one of our "Go To" routes. From the Glenmore Valley, we climb up to the scenic benches overlooking Kelowna and the Lake, riding through the orchards of East Kelowna. Then, we have an optional King of the Mountain climb up June Springs Road, before we continue to the vineyards of the South Slopes overlooking Lake Okanagan. At our turn around point at the end of the road it's a fairly easy scenic cruise to Kelowna but there one more challenge awaits, a final leg burner up Knox Mountain for one last scenic vista! The route as shown here is 92 km* with about 1400 m* of climbing. *We can customize the route to be as challenging or gentle as you wish. This is another favourite route for the local riders. It's a great ride along two lakes, through Okanagan Center and Carr's Landing to a leg burning climb up to Predator Ridge, then back for a lovely loop around Wood Lake through Oyama, then back to Winfield. The route as laid out here is about 60 km* with 900 m* of climbing. We have a rest stop at Predator Ridge and Oyama (Optional lunch at Oyama). 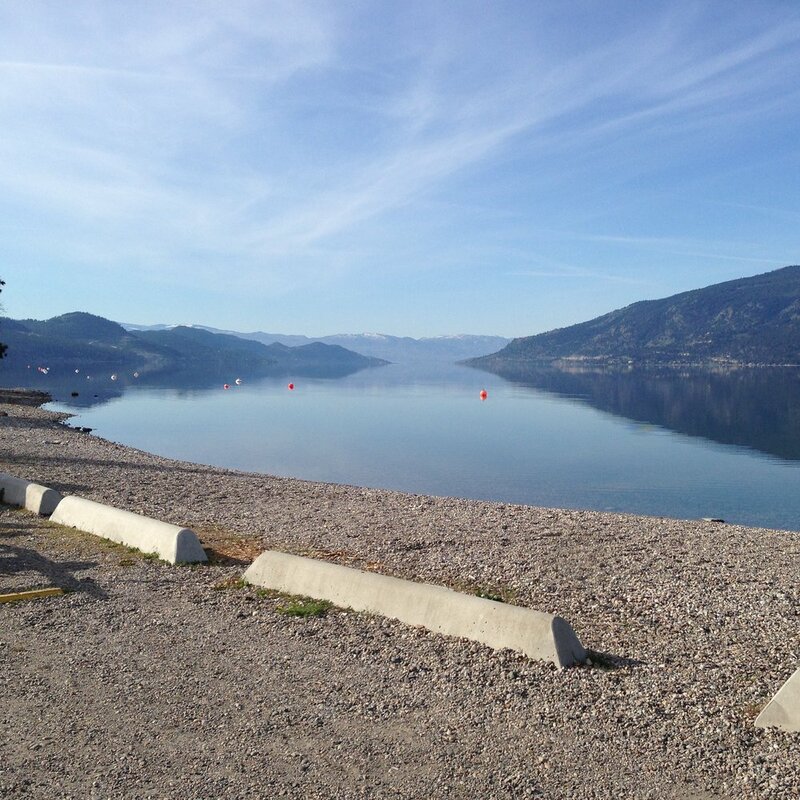 For this route, we venture to the other side of Okanagan Lake for a different perspective. This is a fairly compact route (about 60 km*) that's perfect for a quick ride that delivers a little bit of everything: some great climbing (1000 m total elevation*), interesting descents, secluded roads in pine forests, rolling vineyards, quiet residential neighbourhoods, lakeside cruising and - throughout it all - amazing views of Okanagan Lake and Kelowna. We'll through in a couple of stops at some of our favorite destinations including Mission Hill Vineyards and the Gellatly Nut Farm.